Hailing from Chile, Caterina has the soul and off-center music qualities of Björk and Kate Bush, but with a prettier, more accessible voice. Regina Spektor also comes to mind if you could imagine her with South American influences. All are very apparent in Caterina's song "I Confess." The artist's show at the Bowery Electric this past weekend was a small one, with Caterina performing without her full band. Sitting at the Electric's acoustic piano (which is out of tune, not her fault, they really need to fix it) she didn't have as much opportunity as the audience might have liked to show her face. But her playing was true and her singing beautiful. 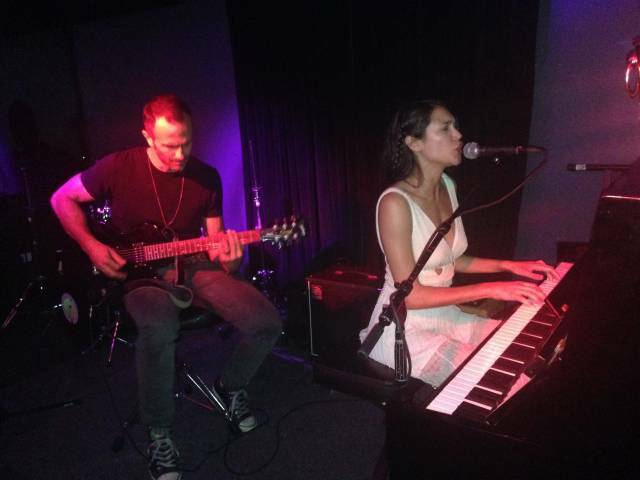 As she drew a crowd in from the main bar area to the smaller stage of the first floor venue, Caterina was joined by Sebastian Achaval on guitar, which helped round out the sound.